How do I use my Comcast Xfinity on Campus credentials to log in to TV Everywhere apps? 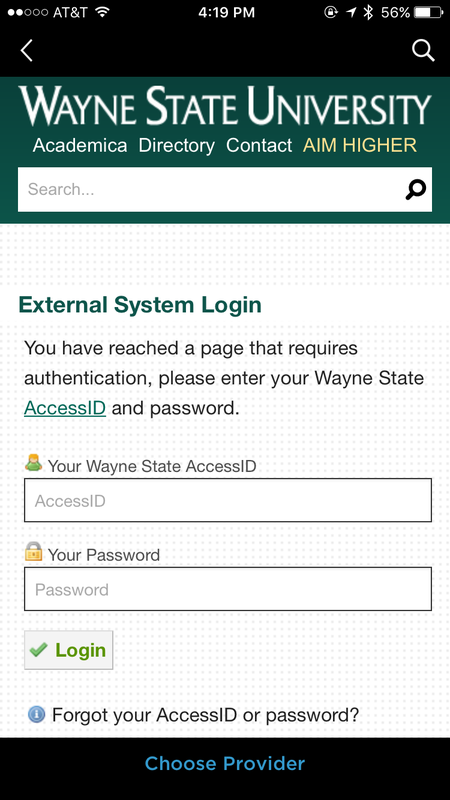 Wayne State University student residents may use their Xfinity login credentials to access select TV Everywhere apps like HBO Go, ESPN and more. 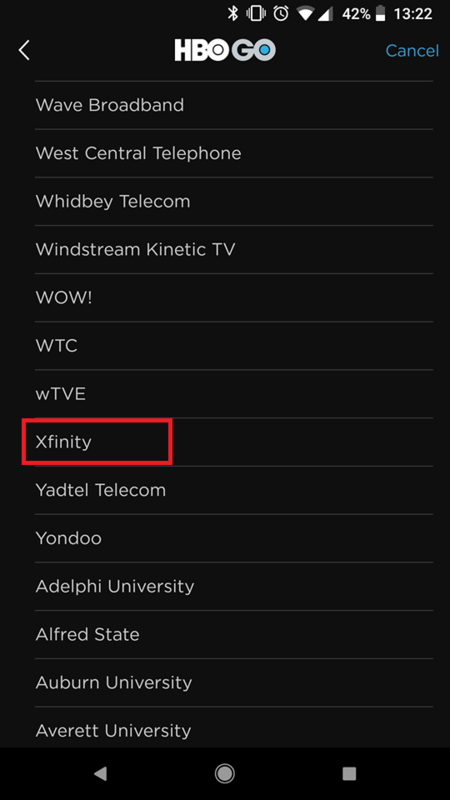 Find a full list of available apps at xfinity.com/support/articles/online-tv-through-partner-sites. 1. Download and open the TV Everywhere app of your choice. 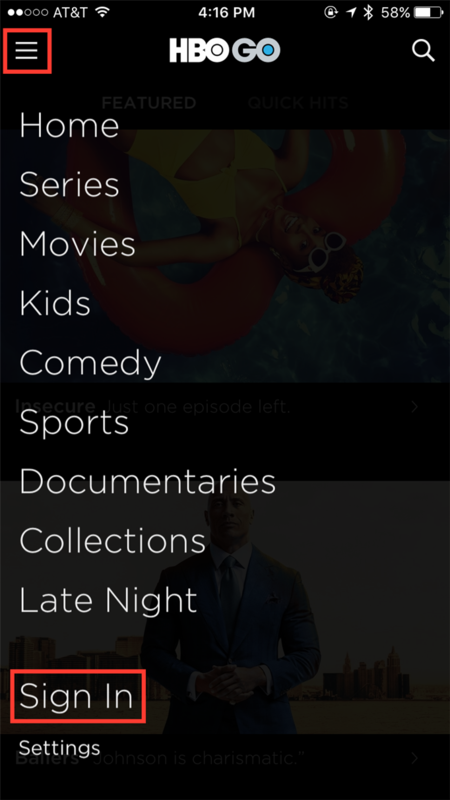 This example uses HBOgo. 2. Click the small three lines in the top left corner and then click Log In. 4. Click Students sign in under Xfinity on Campus. 5. 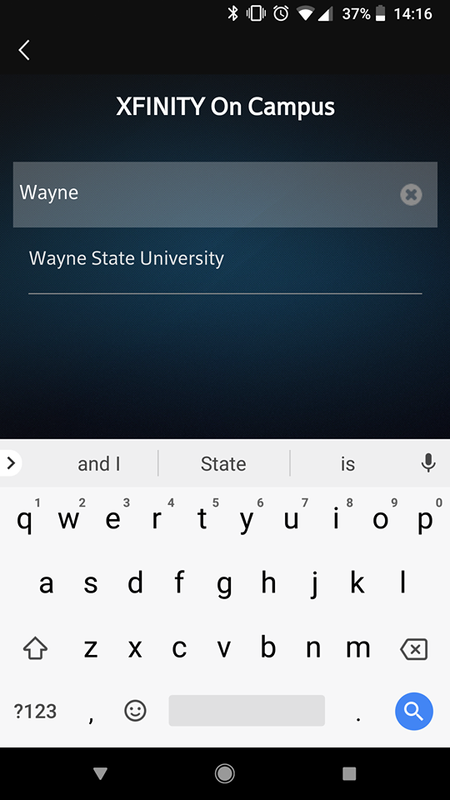 Search for and click Wayne State University. 6. You will be directed to the WSU login page. Log in with your AccessID and password. 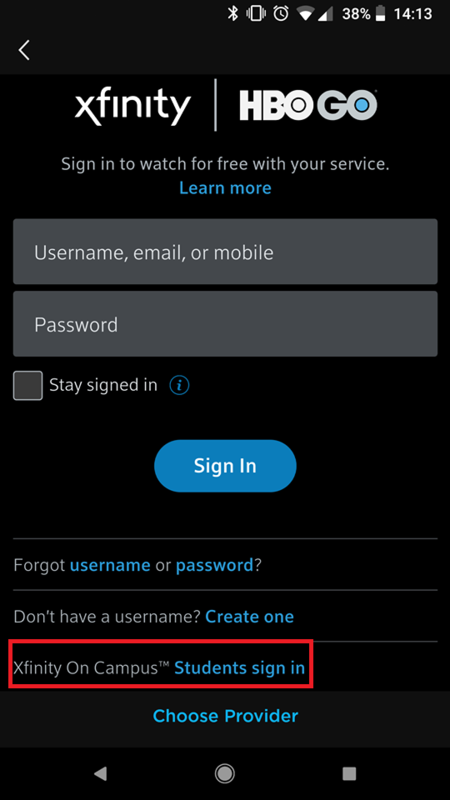 You may be asked to fill out information for a user account after logging in to a TV Everywhere app for the first time. If so, follow the prompts to continue to content. Learn more about TV Everywhere at xfinity.com/support/cable-tv/online-tv-through-partner-sites/. Learn more about Xfinity on Campus and WSU resident cable TV at tech.wayne.edu/kb/internet-networks/cable-tv. Last updated: September 5, 2018 at 5:03 p.m.